After having spotted this post on life-changing books, I thought I’d throw my own hat in the meme ring. I’m not sure I’ve ever really given the question much thought, to be honest. I have a list of favorite books I can spout off; but pinpointing those books that have actually changed my life in some manner is a little more difficult. But anyway, here goes. These are the first books I remember reading, and I devoured them. They managed to teach me some basic manners and morals in a way that made sense to me at that age. I credit these books for instilling a love of reading in my toddler psyche. 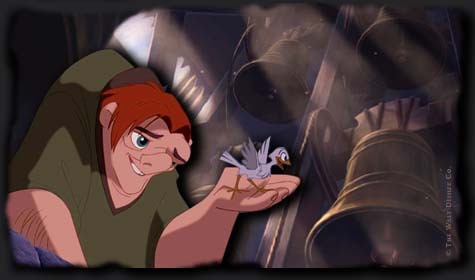 More commonly known as “The Hunchback of Notre Dame.” One thing most people with whom I mingle on a semi-regularly basis probably don’t know about me is that I love France. Or at least the extent to which I love France. The language, the country, the history, the architecture, the literature, etc., etc., etc. I love it all. This book certainly cemented that. If I recall correctly, I would have read this somewhere around my freshman year of high school, during which I was in my second year of French class. Beyond serving a tribute to one of the most magnificent structures on the planet, this dark and tragic tale shaped my views on a number of issues, including class, the complexity of the human psyche, the line between love and obsession, and the levels to which humans are willing to stoop in order to keep an image alive. Just an FYI, the animated Disney version pictured is extremely different from the book; that being said, it’s also my favorite Disney movie. I read this book shortly after reading Notre Dame de Paris, and it tops the list of my favorite books ever. I’m not going to attempt a synopsis in this space. Suffice it to say, I once wrote a 27-page paper on this book, half of which was simply a summary. If you’ve seen the musical or any film adaptation, you’re only getting maybe a quarter (and that’s being generous) of what’s in this book. Pretty much my entire collection of views on society, classism, the government, the church, family, beauty, and the gray area between right and wrong came from this book. It’s a hefty undertaking, coming in at more than half a million words, but it’s entirely worth it. I read this in French class (in French) and loved it more than I ever could have expected from a class-assigned book. It taught me not to forget to look at the world with whimsy. This has been an important lesson as a writer and as a human being, and it also comes in handy when trying to tell the difference between a hat and a python eating an elephant. I read these books for the first time last year (except for The Hobbit, which I’d read once before a few years ago). I’d seen and loved the movies, and I was blown away by the books. Interestingly enough, I didn’t hit geek-level appreciation until I finished the third one. I read the last pages, and it was like a switch flipped on. It’s hard to really describe how exactly these books have changed my life, but I can certainly say that my geek quotient jumped significantly, and perhaps that’s telling enough. In all seriousness, though, I read them at a time when I was in a state of emotional turmoil, unbeknownst to those around me, and they provided comfort and hope in a time when I felt very alone and unable to seek solace elsewhere. The lessons about fate, friendship, courage and honor are certainly ones that have and will stick with me. I read this book only a month ago, so it’s even more difficult to say how it has or will change my life. All I know is that it has been a very long time since I’ve been so stimulated by a book. 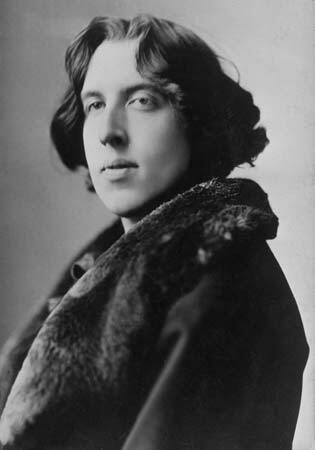 I’d been wanting to read Oscar Wilde (pictured) for a long time, and hearing about the upcoming film adaptation due out next year was the catalyst that made me pick up the book at Borders. I didn’t really know what to expect going in, but no synopsis I’ve seen since then does the story justice. Superficially, this is a gothic horror story. But if you care to read it with a more astute eye, it’s a commentary on beauty, morality, pretense, and the effects of our actions on the soul. It’s a beautifully crafted story, and I was extremely amused to see how often Mr. Wilde is quoted out of context. I wish I’d been exposed to his work before my trip to Paris, during which I visited Père Lachaise, where he is buried. I have a vague recollection of the lipstick marks covering the monument, and I would have happily added mine to it had I known what the fuss was all about. So, there you have it. If you’ve ever wondered why I am the way I am, blame these books. ← Box Office Results, etc. I think Hugo can be quite dry and hard to get through but on the other hand if you DO manage to get through it then it’s pretty wonderful. I also think you spend too much time daydreaming about France.